New customers always want to know the secret to successful CMMS implementations. After 20 years and thousands of customers, I’ve seen one consistent factor among the most productive CMMS users. The secret is simple—the successful ones invest in high-quality training. It’s not just my opinion. A recent McKinsey & Company survey titled “Building Capabilities for Performance” found the most effective companies focused on sustaining skills and linked learning to business performance. These companies see training as a long-term investment, not just a short-term cost. Now I’ve heard every excuse in the book. My favorite is, “Steve, I just spent $10,000 on software. I can’t afford training.” (If I had a nickel for every time I heard that one.) Well, I’m here to tell you why you can’t afford not to invest in training. Let’s meet three MPulse customers: we’ll call them Rick, Bruce, and Tim. Each of these guys employs about 10 service technicians and has a similar-sized shop. All three bought MPulse Silver with preventive maintenance and service request capabilities plus a few additional users for about $10,000. Now let’s crunch some numbers. MPulse Software, Inc typically saves companies 10-15% of their pre-implementation total annual maintenance expenditures in the first 1-2 years, and a similar or greater amount every year after—if properly implemented and used. So if a company spends $200,000 per year on maintenance and repairs, they can save $20,000 to $30,000 the first year. For a company that spends $500,000 per year, they save $50,000 to $75,000 the first year. Rick installs MPulse software and assigns two maintenance techs to learn it on their own. His employees already have plenty of work to do, and the software sits waiting for someone to use it. One year later, his staff members are still trying to find the time. Well, that wasn’t very effective. Let’s look at Bruce. He buys the same MPulse Silver package for $10,000, but invests another $6,000 in onsite training. His key team members spend a week with an MPulse trainer setting up the system and learning to use it correctly in their shop. Because Bruce invested the time and resources from the beginning, he’ll likely reap the full estimated savings from his new CMMS system, about $30,000 in the first year. That number is going to look mighty impressive to Bruce’s accounting folks. Now, of course, not all training is created equal. Here at MPulse, we offer a wide variety of options, so it’s important to pick the right one for your organization. Onsite training wasn’t the right fit for Tim’s budget, but he did send some of his team to the MPulse Training Center to learn about the software. Half his team underwent weeklong training at our corporate headquarters, and then headed back to train the other team members. Tim didn’t realize quite as much savings as Bruce because not everyone was trained right away. But his numbers still look pretty good. That’s another nice-looking number. And remember, Bruce and Tim’s investment in CMMS training grows every year. That $6,000-$14,000/year savings multiples quickly, far surpassing their initial investment. By year 5, Tim has netted $86,000 in gains and Bruce has netted $94,000. It’s highly likely Rick will never make it past year two, reverting back to his old ways, wasting his $10,000 software investment, and continuing to miss out on $30,000 per year in potential efficiency savings. Investing in CMMS software without training your people to use it is penny-wise and pound-foolish. 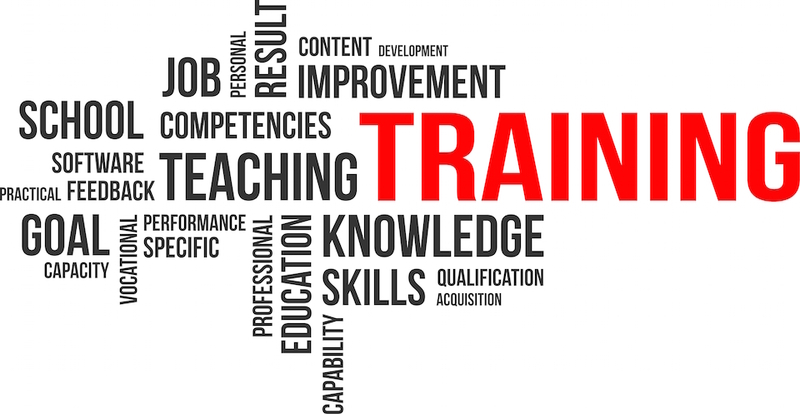 CMMS training directly impacts your CMMS success—and your bottom line. Take the long-range perspective, and reap the rewards of high-quality training year after year. It’s the real secret to CMMS success.